These disks are found in Gomati River and made of calcium. These disks are similar in shape of the coin of Chavannes and their color is some white and yellow. On one side it has recurring curve and another side of this chakra is like convex back of buff. These disks are used in many things. Mostly this chakra is used to solve the problem of daily life like acquire financial progress, to get wealth, marriage, defeat enemies. We get quick result by using this Gomati chakra. 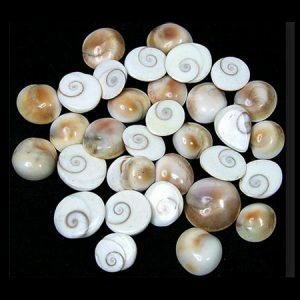 You can use Gomati chakra to get success in your life for that you should have three Gomati chakra combined by the wire of silver in your pocket.